A retired U.S. Air Force major general, known worldwide for his information technology and cybersecurity expertise and known to the School of Information Studies (iSchool) as a distinguished doctoral degree graduate and a visiting professor, will be the keynote speaker for the Northeast Collegiate Cyber Defense Competition held at the iSchool later this month. Dale W. Meyerrose, president of the MeyerRose Group, will provide the opening talk for the cyber-skills challenge, being hosted Friday through Sunday, March 20-22. The competition is expected to draw 200 students from several colleges in the Northeast, plus dozens of competition judges, sponsor representatives, industry professionals and student and faculty observers. 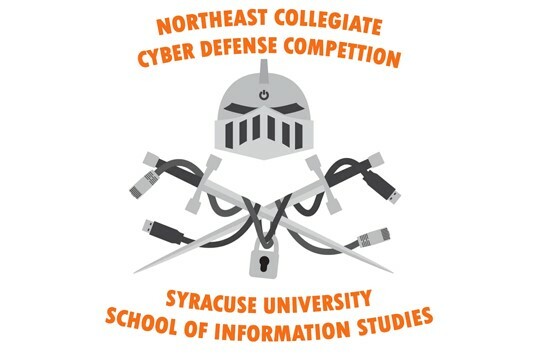 The event is the regional qualifier for the National Collegiate Cyber Defense Competition, where winning teams from 10 regional contests compete for the U.S. title in April. With almost four decades of business, military, U.S. government and academic experience, Meyerrose is an internationally respected subject matter expert on leadership, strategic planning, cybersecurity, eHealth and information technologies, and intelligence and military matters. In addition to his visiting professorship at the iSchool, he runs a cybersecurity leadership certificate program at Carnegie Mellon University’s School of Computer Science Institute for Software Research. Meyerrose was the first president-appointed, Senate-confirmed chief information officer and information sharing executive for the director of national intelligence, managing the information technology infrastructure activities and enterprise requirements of the U.S. intelligence community. While on military active duty, he was chief information officer of three major U.S. Air Force commands and three unified U.S. military combatant commands. He directed command control systems for the North American Aerospace Defense Command during 9/11, and later became the first chief information officer for the U.S. Northern Command, responsible for homeland defense. After leaving the military, Meyerrose served as a vice president and general manager for Harris Corporation, where he led cyber growth initiatives and built an award-winning cyber/data center. 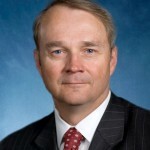 He served as interim chief executive officer for the nonprofit American Registry of Internet Numbers; was recognized as the International Armed Forces Communications and Electronics Association’s Person of the Year; and received the Executive CIO Top 10 Leaders and Innovators Public Service Award. He also was named to the “Federal 100” by Federal Computer Weekly and by Government Computer News for outstanding information technology achievement in government; and was inducted into the U.S. Air Force Cyberspace Operations and Support Hall of Fame. Myerrose now serves as president and chairman of the board for the Air Force Historical Foundation, as a trustee for the U.S. Air Force Academy Falcon Foundation and as an advisor to the U.S. Air Force Heritage Program. At his 2014 iSchool graduation, where he earned a doctorate of professional studies in information management, Myerrose was presented with the school’s Doctoral Prize for Excellence in Scholarship and Research. Susan Corieri, assistant dean for enrollment management and special academic program initiatives at the iSchool, says Meyerrose is the perfect choice to address the collegiate competitors for this year’s Syracuse University-based competition. A number of corporations are providing financial and in-kind support for the competition. Lead sponsors include Akamai; the Department of Homeland Security, JPMorgan Chase, the Center for Systems Security and Information Assurance, HP, IT simplify, Cisco and Syracuse University’s ITS Tech support. HiTouch Business Services stepped up to assure that the additional critical computing infrastructure needed for the event was in place. Michael Brown, an iSchool alumnus and member of the School’s Board of Advisors, who is chief executive officer and president of HiTouch, helped fulfill the need for additional dedicated computers for student use during the competition. The talk by Meyerrose is part of the event’s opening ceremonies, which are scheduled from 12:30 to 2:00 p.m. on Friday, March 20, at Watson Theater, 405 University Place. The talk and ceremonies are open to the campus community and the public. A schedule of the weekend’s events is provided on the NECCDC web site.